Lexington High School students may apply to be considered to serve two-year terms in LEF's Student Ambassador program. 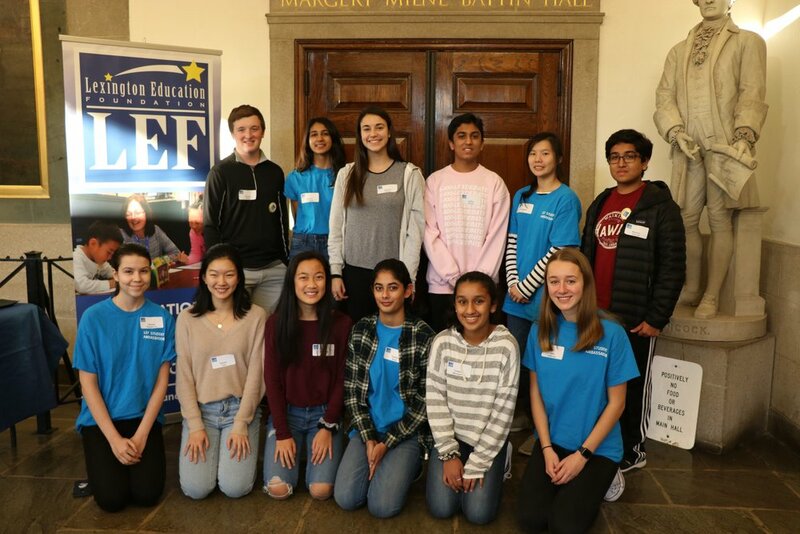 This program provides an opportunity for students to learn and experience how nonprofit organizations operate as they participate in every area of LEF's operations, from fundraising and grant review to communications and event planning. Student Ambassadors earn LHS Community Service hours for their participation in the program. Interested students should write a brief statement (up to 250 words) describing their experience, interests and reasons for wanting to serve as a Student Ambassador. Katie Cutler, LEF's Vice President for the Student Ambassador Program, reviews applications and guides Student Ambassadors throughout the year.